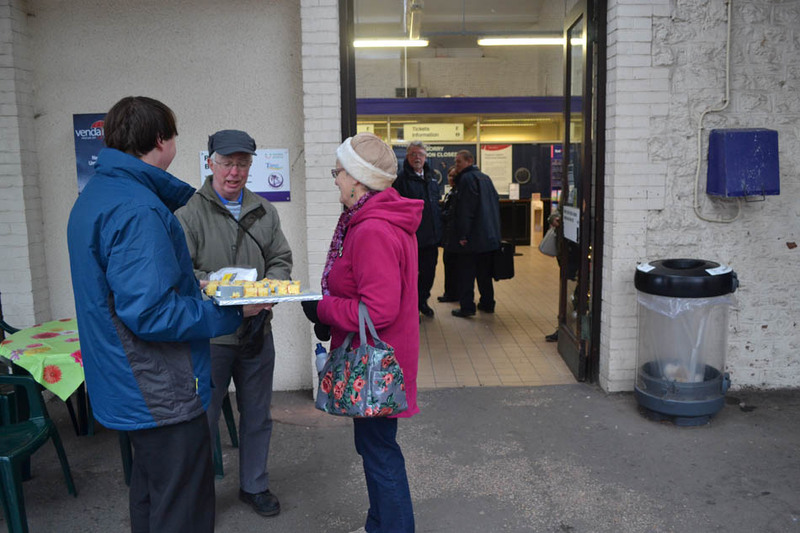 The first anniversary of improved train services between Newton Abbot and Torbay, made possible by the Citizens’ Rail project, was marked by the cutting of a special birthday cake at Paignton station today. Since the improved service began, there have been 20% more trains between Paignton, Torquay, Torre and Newton Abbot on weekdays, meaning that there are at least two trains an hour each way throughout most of the day. 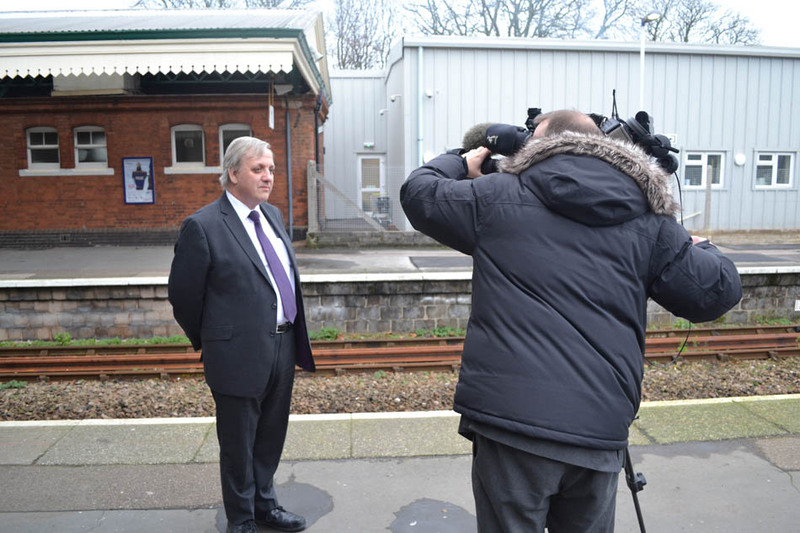 The service improvements are part of the Citizens’ Rail project, 50% funded by the EU Interreg IVB programme and whose local partners are Torbay Council, Devon County Council, First Great Western, Plymouth University and the Devon & Cornwall Rail Partnership. 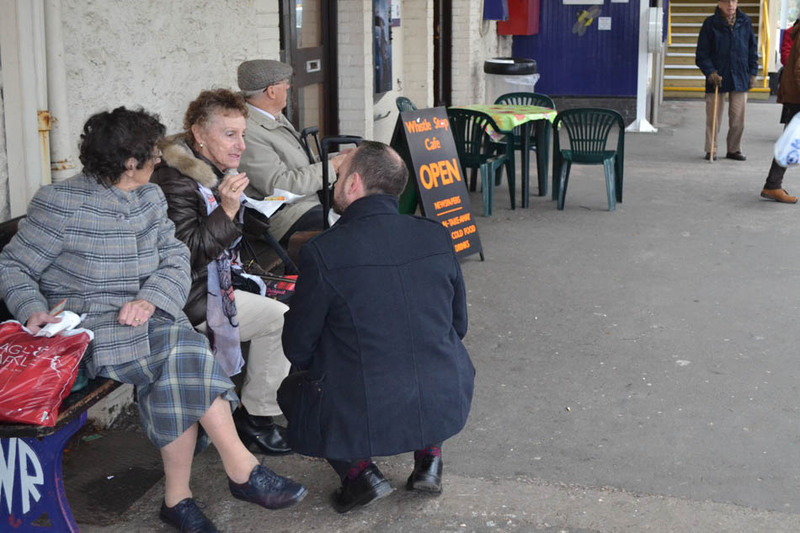 The project, which began two years ago, is working to develop the Riviera Line, between Paignton, Newton Abbot and Exeter, in a variety of different ways, including train service improvements, station improvements, particularly at Torre and Exeter St Thomas stations, a big marketing campaign and work to greatly increase community involvement. 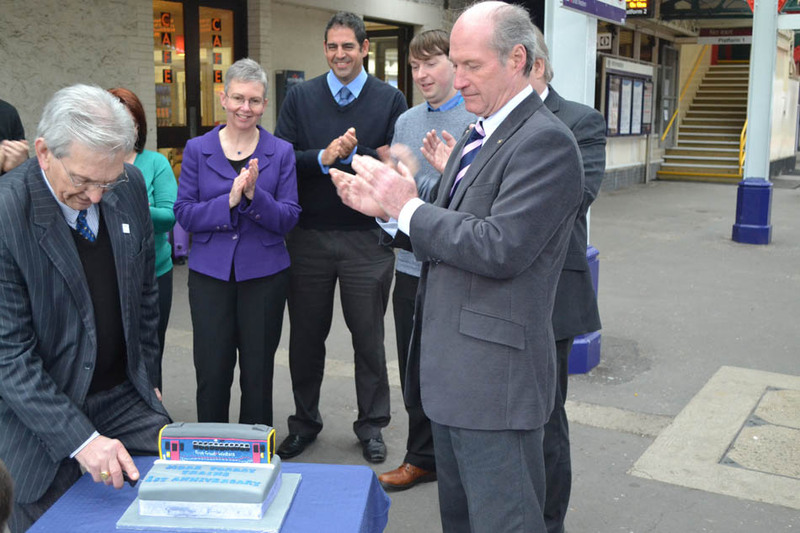 The cake-cutting was filmed by the BBC’s regional TV news programme, Spotlight. 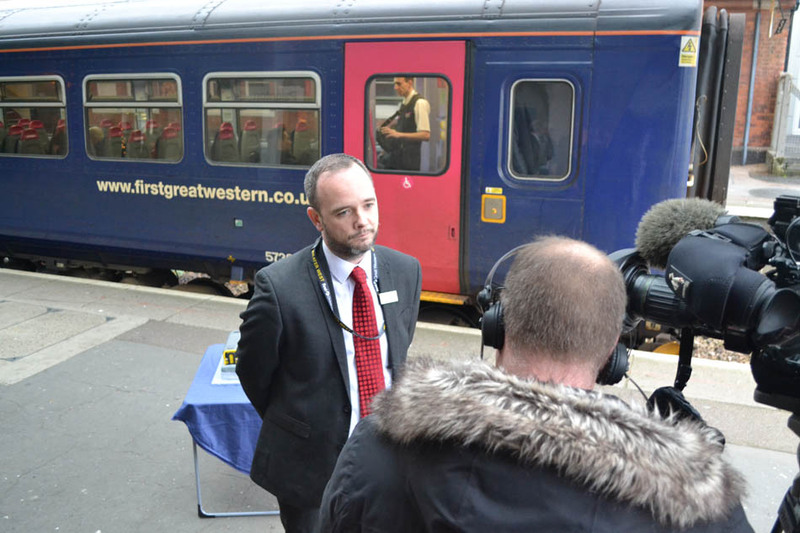 Interviewees included First Great Western’s Ian Mundy (immediately below), and Richard Burningham of the Devon & Cornwall Rail Partnership (two photos down). 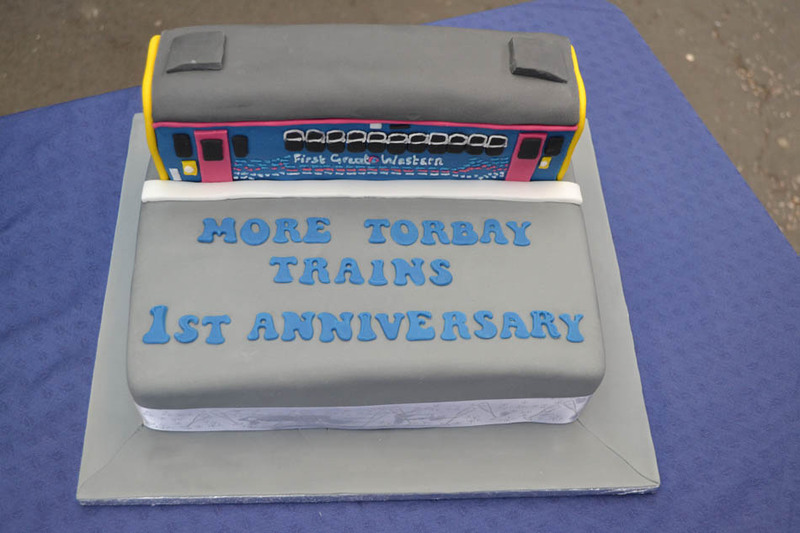 As part of the celebration, Ian Mundy and Torbay Council’s David Whiteway took the opportunity to share the anniversary cake with passengers. Our thanks to the local culinary wizards at Simply Sue-Perb Cakes for providing such a realistic and delicious cake. 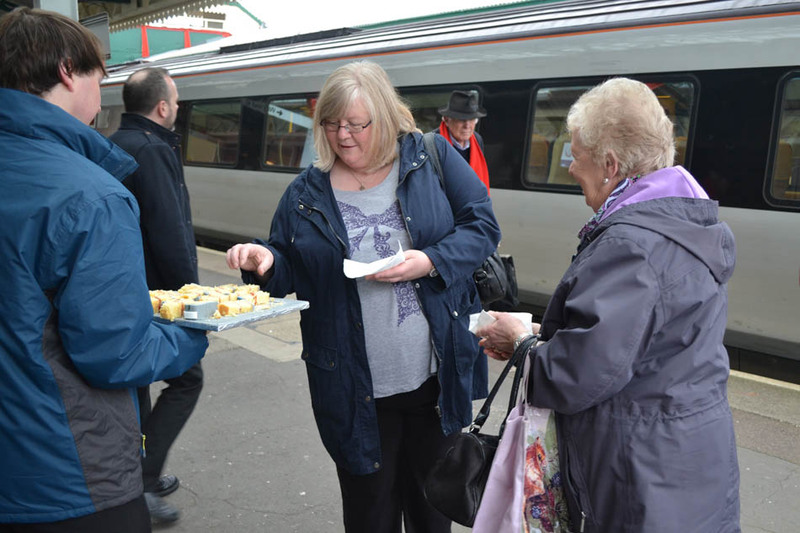 More information about the Citizens’ Rail project, including how to get involved, can be obtained from Riviera Line Project Officer Celia Minoughan at the Devon & Cornwall Rail Partnership on 01752 584777 or at celia@citizensrail.org. Information about Riviera Line train times and fares can be found on the award-winning Riviera Line website, created as part of Citizens’ Rail.